This is a project to visualize the triangulation network created for the Hayden Survey of Colorado. A map from this survey was placed on a digital elevation model and turned into a 3-D visualization. 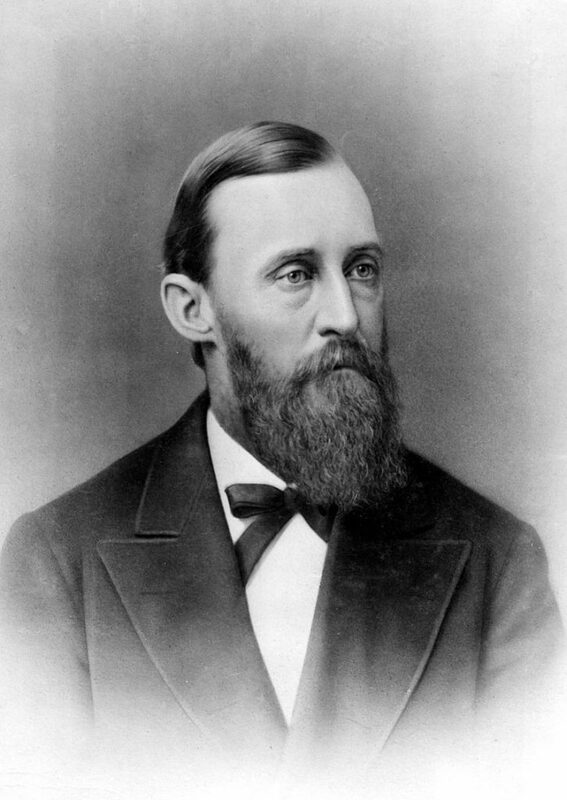 One of the great surveyors in the American West is undoubtedly Ferdinand Vandeveer Hayden. A physician during the Civil war, he rose to be chief medical office of the Army of the Shenandoah. After the war he was appointed Geologist-in-charge of the United States Geological and Geographical Survey of the Territories. Hayden spent the next few summers in the west surveying the areas around Yellowstone and the Grand Tetons. His annual reports caused excitement in Washington. They described stunning mountains, roaring rivers, boiling hot springs, geysers and exotic natural pools. When Hayden returned to Washington he fervently lobbied for the creation of Yellowstone National Park. It was established as the first national park in the United States by President Ulysses S. Grant in 1872. In the post-war United States there was great fascination and ambition about Colorado. Horace Greeley, the journalist who is credited with the saying “Go West, young man” came to Colorado and inspired masses more to come. The 1860’s saw gold rushes near Pikes Peak and Central City. Denver was connected by two railroads and became a boom town for a decade. However, Colorado was not properly mapped. Hayden’s new focus was in creating an atlas of the Rocky Mountains. He had created maps of the Yellowstone region but he wasn’t satisfied with their quality. 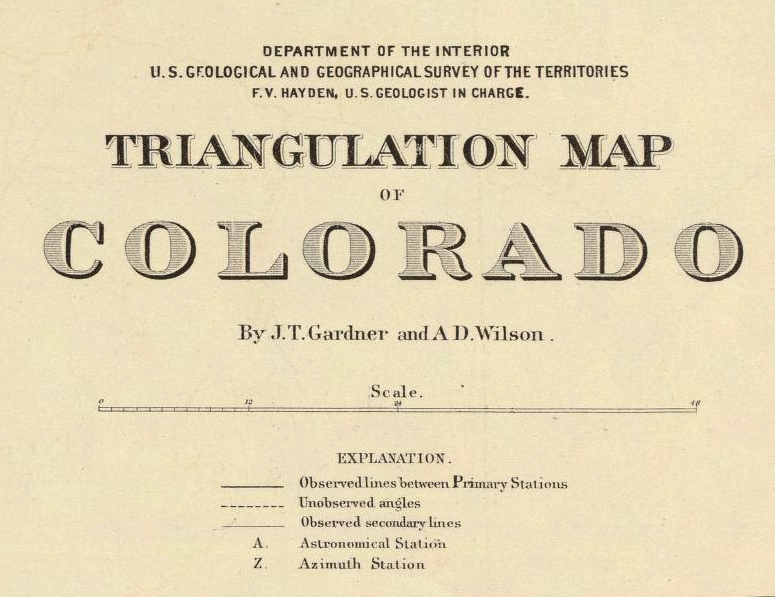 He wanted to make maps of Colorado that would use all the latest scientific knowledge and techniques that could be accomplished in the 19th century. The system of triangles rests upon a base about six miles long near Denver. This was twice measured with a steel tape under twenty pounds strain and the temperature taken every five minutes. A check-base will be measured this year. A secondary triangulation, resting upon this primary, was carried by the topographers over the same area. The primary triangles range from thirty to sixty miles in the length of their sides, while the secondary average eight miles. 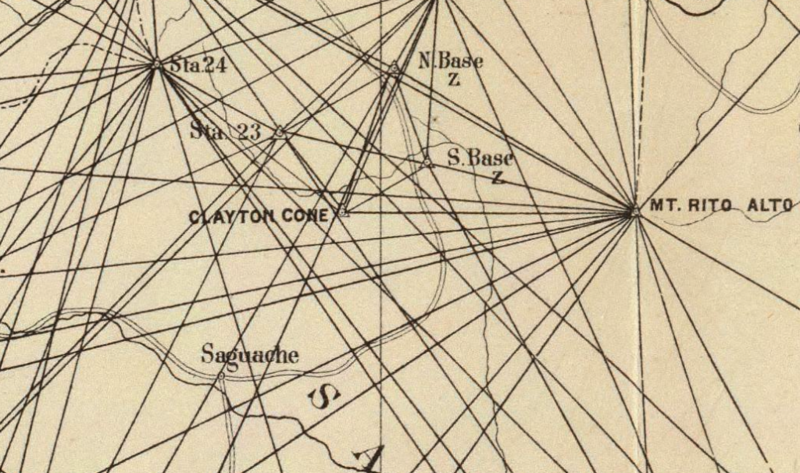 From the Denver baseline the surveyors would use their transits to take readings on nearby mountain peaks. On the summits of those peaks cairns were placed as monuments to turn the transit upon. If visible the cairns would be turned to and from, if too far away the peak would be used as for the sightings. In this way a primary triangular network was created based on the six mile baseline. An additional problem facing the surveyors was in getting the correct elevation. One method to do this before GPS was to use barometers. Barometers on there own aren’t very precise, so weather stations were set up around the state at locations with known elevations. When surveyors would reach peaks of unknown elevations they would take barometric readings. They would take many readings every day, sometimes over the period of several weeks. At the end of the season the barometer readings were compared to get a more precise elevation. In addition to barometers, where possible the surveyors ran levels to the tops of mountains. This depended on having a starting point to measure from, and that usually meant a nearby railroad. By the mid-1870s most of the railroad depots around Colorado had fairly accurate elevations. This data was derived from railroad engineers who had run levels along their lines. America at the time was criss-crossed by a network of many competing railroad companies and this data could be cross-referenced to get a better idea of the elevations in remote locations. There were discrepancies among this data though. Hayden Survey geographer James T. Gardner combed through field notes and reports from railroad engineers to tighten the elevations and get a better value for Colorado elevations. All the data was linked to the elevation of the Kansas Pacific railroad depot in Denver and therefore it was crucial to get this elevation right. Across the state important geographic work was getting done. In 1874 a civil engineer at the behest of the war department had run levels from the Colorado Springs train depot to the top of Pike’s Peak. In addition, the United States Coast Survey set up astronomical stations to get precise latitude and longitudes for the Hayden survey. Over several summers the survey was divided into six or more groups working far apart from each other. The groups would have about a dozen men. They would include a topographer, geologist, cooks and other assistants. In addition a quartermaster would roam Colorado to bring food and supplies to the crews. The triangulation work was led by the geographer James T. Gardner. Gardner made careful and detailed work in preparing the survey. His team used theodolites, survey chains, and transits with powerful telescopes. After returning to Washington Hayden and his lieutenants went about making the atlas. In 1877 the Hayden atlas was printed by the lithographing firm of Julius Bien and Company. German born Bien came to America as a young man in 1848. His exceptional lithograph work mapping railroads in the west propelled his career and garnered the attention of powerful men in Washington. By the time of the civil war Bien’s company was one of the top mapping firms in the country. Lithography at the time was meticulous work. The process involved etching the map on a smooth stone surface. The best of these stones, and likely the ones used by Julius Bien’s company, are a special limestone from a quarry in Bavaria. The etching must also be done in an exact mirror as that is the way to transfer it to paper. The etched lines are filled with a kind of grease that contains the ink. When paper is pressed to the stone the ink will only apply to the paper where the lines were engraved. The atlas immediately gained significance in the development of Colorado. It included many maps describing economic possibilities, drainages, geology and topography. It was owned and used by railroad barons, territorial governors, bankers and explorers. My main interest is the triangulation map from the atlas. This is a fascinating work: a visualization of the science of cartography. My goal was to take this flat map and overlay it onto a digital elevation model. Doing this gives it texture and shows the terrain that made this triangulation possible. I started with a high-resolution copy of the map from the David Rumsey Map Collection. The map is very detailed and contains a coordinate grid along with all the peaks used in the network. This is convenient because my next step is to georeference the map into QGIS software. Georeferencing is the process of taking an image of a map and assigning coordinates to points on the image. I started with the four corners of the map. This is easy because there are coordinates on the border of the map. I took the nearest grid intersection and assigned it the coordinate. After that I georeferenced the peaks on the map. Places like Pikes Peak, Mount Peale, Mount Evans etc. have known coordinates that are easy to look up. I got coordinates on places distributed somewhat evenly around the map. The next step is to stretch the image onto a model of the Earth. Fortunately QGIS can do this automatically once it’s georeferenced. It performs some heavy mathematical functions and puts the image on a map. Now I can add a digital elevation model to the map. I downloaded the a 30 arc-second data set from the USGS (GMTED2010) and dropped that into QGIS. Now I have an elevation layer and an image layer. Lastly I use a QGIS plugin called Qgis2threejs. 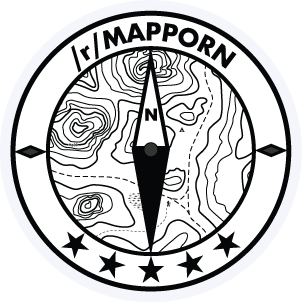 This great plugin takes the map and turns it into a webpage that you can use in your browser. Then you can use your mouse to zoom around and rotate the image. I exaggerated the size of the mountains to give it more definition. They aren’t real, but they are all scaled at the same level. Now you can zoom onto the map and get an idea of what the terrain looks like from a given location! Hayden’s Landscapes Revisited – An online work from the University of Colorado that locates the places where sketches of the survey were made and compares them with modern day views.